1.9 How To Apply For Delhi Planning Department Recruitment 2019? Delhi Planning Department Recruitment 2019: Applicants who are ready to work in Delhi they are look in this article. Dehli government released the latest notification for Delhi Planning Department Recruitment 2019 forAssistant Public Prosecutors on contractual basis Posts. 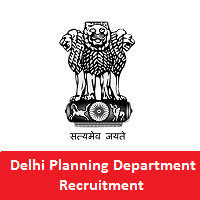 Applicants have to see more information through the Delhi Planning Department Recruitment 2019 vacancies you can see the official website of Delhi Planning Department that is delhi.gov.in. Candidates who are interested in these jobs they can apply from 11th February 2019 to 15th February 2019. In the below section they mentioned more information through Delhi Planning Department Recruitment 2019 Notification such as educational qualification, age limit, selection process, important dates, application process, salary details, application fee, important links, others. Name Of The Post Assistant Public Prosecutors on a contractual basis Posts. Applicants who are ready to apply for Assistant Public Prosecutors on a contractual basis Posts, those members have to see the details of educational qualifications for these posts you can also check the official website that is delhi.gov.in to know the more information for the educational qualifications for Delhi Planning Department Recruitment 2019. Candidates who are eligible, they can see the entire details of the selection process. You can also see the official website of the Delhi Planning Department that is delhi.gov.in for more updates. Applicants who had performed well in the entire selection process, they will be part of the Delhi Planning Department organization. In this below section candidates, you can get more info of post-wise vacancies for Delhi Planning Department Openings 2019. A hefty number of applicants showing much more interest to apply for these posts. The officials decided to conduct the Objective Examination for all the applicants. Candidates who will give the excellent performance in this round, they will be selected by the Delhi Planning Department team. For all selected candidates can get the handful salary for these posts. You can also check the official notification for the Delhi Planning Department. (a) The remuneration payable to candidates would be equal to the minimum of level 8 of pay matrix as perVllth CPC + DA applicable on the date of offer of appointment which will remain fixed for the purpose of calculation of monthly payments till the contracts are valid. (b) The Assistant Public Prosecutors selected will be entitled to lump sum monthly salary as mentioned above and no other allowances will be admissible to them. The appointees shall also not be entitled to any benefits like PF, gratuity, seniority, promotions etc. For further information through the application details, you can see the Delhi Planning Department Recruitment 2019 notification. (i) Relaxable up to five years for SC/ST/PH candidates. (ii) Relaxable up to three years for OBC candidates. How To Apply For Delhi Planning Department Recruitment 2019? First of all, candidates have to see the official website of the Delhi Planning Department that is delhi.gov.in. In that many features are there, you can go to the latest updates section. Again you can search the Delhi Planning Department Recruitment 2019 notification link. Read the notification carefully. If you are eligible you can apply the application form through offline. Take two or more copies of Delhi Planning Department Recruitment 2019 application form for further reference. All the interested candidates searching for Delhi Planning Department Recruitment 2019 in India can check this page for all latest recruitment 2019 updates. Find more details and updates about Delhi Planning Department Recruitment 2019, exam results, dates, schedules, and others. Applicants can bookmark our site that is Sarkari Recruitment by clicking Ctrl+D for more updates on Delhi Planning Department Recruitment 2019, and they can also share this information along with their friends. If any of the applicants have doubts, they can comment us in the below section. Thank you.